Early last year, Facebook got all emotional, allowing us to do more than just actively like or passively dislike a thing. 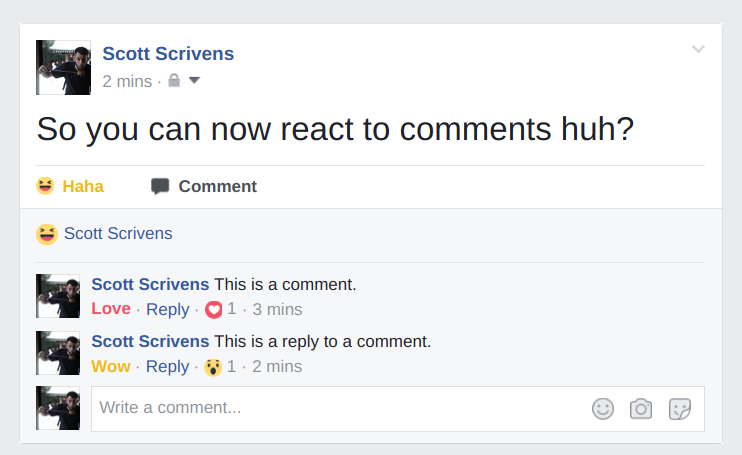 Reactions were introduced in the biggest shake-up the Like button had ever seen. This made it possible to react to a post with the entire range of human emotions. Well, with love, laughter, shock, sadness, or anger. Of course, this wasn't enough. We want to be able to react with emotion to everything. 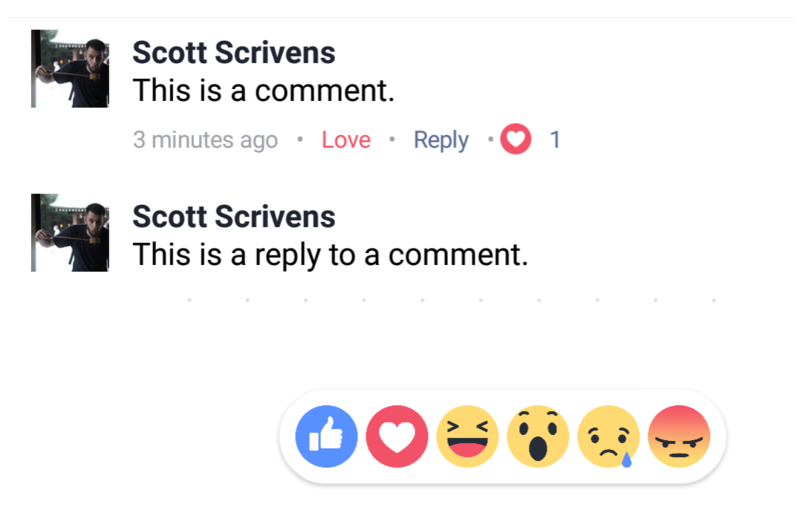 So now Facebook is bringing these same options to the comments below posts, too. Believe it or not, users have been clamoring for this feature since Reactions first became available for posts, and yesterday Facebooker Anil Kishore announced everyone was finally getting what they wished for. No longer do we have to use words to express our feelings about a certain statement by adding another comment. Now with a simple long press of the Like button (in the Android app, or hover over on desktop) we're greeted with those safe, familiar reaction options. This is what it looks like in the Android app. It's great that Facebook listens to the community and acts on feature requests such as these. As we get our heads around the latest innovation to come out of Menlo Park, we're left to wonder what exciting feature could possibly come next?